Notes: Royal Marine Artillery and Royal Marine Light Infantry badges are engraved on the monument. 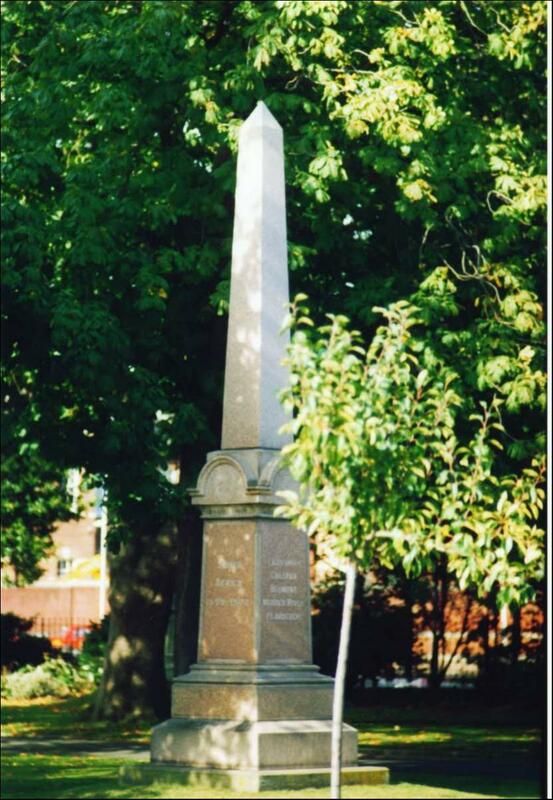 Monument is located in Victoria Park, Portsmouth, Hampshire. Inscription: To the memory of the officers and men of the Naval Brigade of HMS 'Powerful' who were killed in action or died during the campaign in South Africa, 1899 - 1900.